The Nintendo 64 Disk Drive, also known as the 64DD. 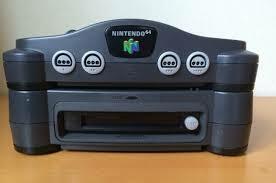 The Nintendo 64 Disk Drive was a failed add-on for the Nintendo 64. As the fifth generation of video game consoles came out, Nintendo was still using cartridges, while its competitors Sega and Sony were using discs for their systems. Instead of cutting the Nintendo 64's lifespan short in 1995, an add-on for the Nintendo 64 was announced and would be on the market by late 1996 alongside the Nintendo 64. Despite setbacks, the add-on released in Japan on December 1, 1999, but it was a commercial failure and was never exported outside of Japan. Due to the multiple delays and the failure of the Nintendo 64 Disk Drive, many games that would have been released for the add-on were either reworked and released on other Nintendo consoles or were outright canceled. Cabbage was the codename of an unfinished game that was being developed by Shigesato Itoi, Tsunekazu Ishihara, and Shigeru Miyamoto of Nintendo. The game would have been similar to the at-the-time popular Tamagotchi, where the player would take care of an unspecified creature, even using the N64DD's internal clock to keep the in-game world running even when the system was turned off, meaning the creature could have changed in the player's absence. The creature was also planned to be transferable to a Game Boy to take care of it when not home, and be shared with friends. 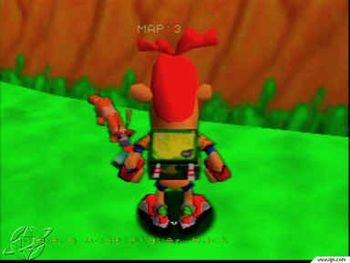 Cabbage was meant to be revealed and playable at Space World 2000; however, the game ultimately didn't make an appearance at the event and was eventually canceled. Concepts and gameplay elements from the game were later reused in Nintendo's Animal Crossing and Nintendogs franchises. A simulation RPG where the player had to survive on a desert island. It would have featured many flora and fauna to interact with. The gameplay was supposed to be a mix of platforming, survival, and life simulation. There was even a feature to cultivate the land and raise animals to give rise to a civilization. However, the game was never completed. In 1997, Nintendo purchased the Japanese rights to publish Diablo on the Nintendo 64DD. It is possible that the Diablo would have just been a PC port as Blizzard ported StarCraft to the Nintendo 64. To be based on the famous manga series known in English as Jungle Emperor Leo or Kimba the Lion. It was being developed by Shigeru Miyamoto, and the son of the manga's author, Makato Tezuka. Revealed in Space World 1997, the game would have been an action-adventure game, with vast exploration. However, Makato Tezuka was very inexperienced with video games, among other problems with development. The game was quietly canceled. Famicom Classics Vol. 1 was going to be a collection of Famicom/NES games. A second volume was never planned. Announced along with Mario Paint 64 in July of 1997, Fire Emblem: Maiden of Darkness was going to be the sixth game in the Fire Emblem series. 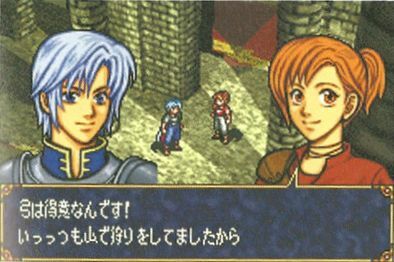 The game was reworked into Fire Emblem: Sword of Seals for the Game Boy Advance which was released in 2002. Revealed at Space World 1999, it was being developed by SETA Corporation as a turn-based strategy game, very similar to Nintendo's Wars series, but with a realistic setting. This game would have supported 4-player online battles using the N64DD's Randnet service. The game was delayed multiple times and eventually changed the format to a cartridge. The change in format led to the removal of the online mode, and ultimately, Ultimate War was canceled altogether. Originally announced in a 1997 issue of Dengeki Nintendo 64 as a successor to the SNES game Mario Paint, but the game was never publicly shown in any form. It's speculated that the game became Mario Artist: Paint Studio, which was released for the 64DD, but little is known about the differences between the two games. The sequel to the 1994 SFC/SNES game Mother 2/Earthbound was originally in development for the Super Famicom, but later moved to the 64DD as a 3D RPG game. 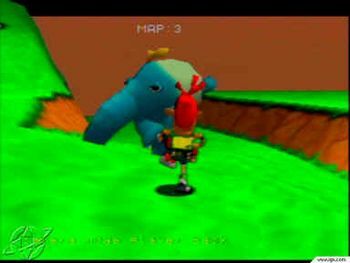 After the failure of the 64DD, development moved to a cartridge format, where it was soon canceled in 2000 due to the developer's lack of experience in making 3D games. The game was around 30% playable at the time of its cancelation. Mother 3 was eventually reworked to be released on the Game Boy Advance. An arcade-style racing game that was being developed in 1996-1997 by SETA Corporation, it was announced as an earlier title for the N64 in general. It was delayed multiple times and eventually downgraded to cartridge format when it was canceled. SimCopter 64 was a planned remake of the original SimCopter for PC. 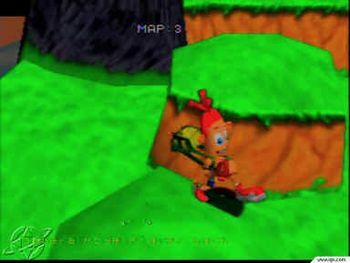 It's unknown if this remake was going to be significantly different from the PC original, but according to IGN, the game was officially canceled in 1999. It was long thought there would be a planned sequel to Super Mario 64 on the Nintendo 64 Disk Drive. In 2014, a collector found the disk for to the game and it turned out to be a port of Super Mario 64. It is unknown if the Super Mario 64 Disk Version would have added extra features. Originally developed as a sequel to the 1996 SNES game Super Mario RPG: Legend of the Seven Stars and shown off at Space World 1997 as a 64DD game, legal issues with Squaresoft Ltd. (now Square-Enix) and the failure of the 64DD forced the developers to move to a cartridge release and to re-work the game into Paper Mario, released worldwide in 2001. The Mario Artist series is similar to Mario Paint paint for the SFC/SNES, with painting and music games. Four games were released in the series, but there are four more that were not released. They are Mario Artist: Game Maker, Mario Artist: Graphical Message Maker, Mario Artist: Sound Maker, and Mario Artist: Video Jockey Maker. Recording of Space World 1999 footage. Video of Space World 1997 footage. Video of E3 1998 footage. Video of Space World 1999 footage.